My daughter like most kids doesn't enjoy her vegetables. But the good part is, with all my experimenting she has finally figured out preferred ways of eating them. Like she will eat spinach only when made into Palak Paneer ( Cottage cheese cubes in spinach sauce) or eats vegetables like pumpkin and cabbage only when made into fritters. Similarly she prefers her carrots only in the grated form - in salads or stir fries. 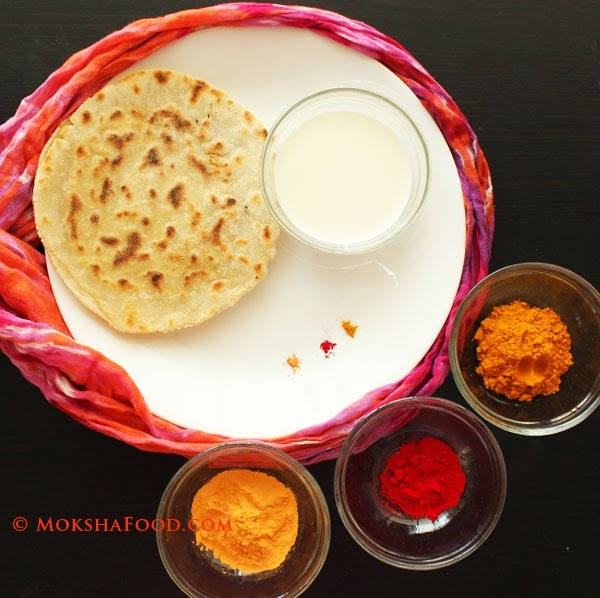 Her most favorite way of eating carrot is by way of an Indian dessert called Gajar halwa. Shredded carrots are cooked in milk and sugar and garnished with cardamom pdr and lots of cashew nuts. With the goodness of carrots, nuts and milk, this is a healthy dessert even with the sugar present. 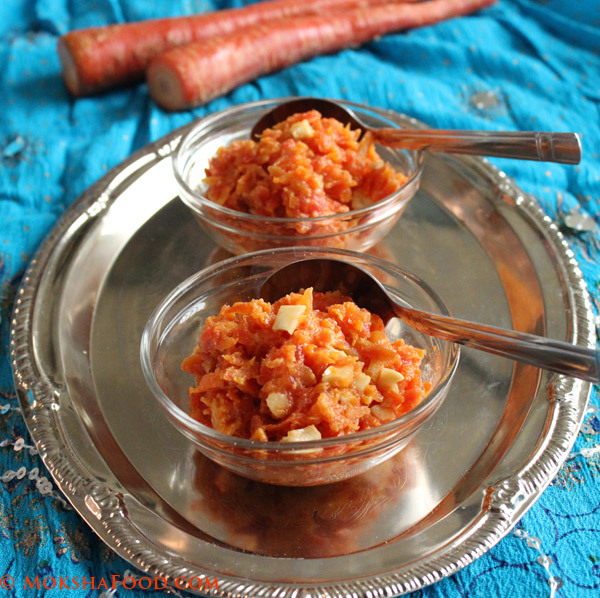 Last week during our weekly grocery trips, she noticed nice red carrots in our Indian grocery store and requested to make gajar halwa at home. I agreed on the condition that she would help me grate it. So yesterday after school, she promptly took over her task and helped me scrape and grate the carrots. I am happy that she has begun to enjoy the pleasures of cooking and helping in the kitchen. The other day she made us a salad from scratch and added her own seasonings. Oh! The pleasure of eating your daughter's first salad made with so much love and effort surpasses even the most refined one made by celebrity chefs. I have read that kids who develop an interest in cooking their own food grow up into individuals more prone to eating healthy meals than processed junk food. Red carrots as opposed to the orange ones are more sweeter and softer to grate. 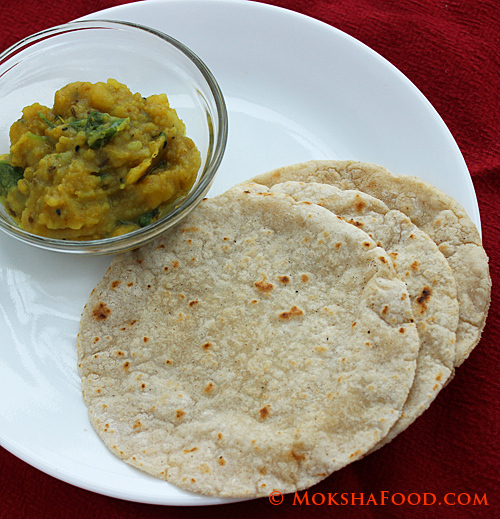 They are usually available in Indian grocery stores in fall and winter months. If the red carrots are not available, orange carrots can be used too. This is very easy recipe and taste great as a snack or dessert. In a large saucepan, heat ghee on medium flame. Stir in the grated carrots and saute well for about 2-3 mins. Pour in the milk and keep stirring till the carrots absorb all the milk. Now add in the sugar and keep stirring till all the liquid dries up. 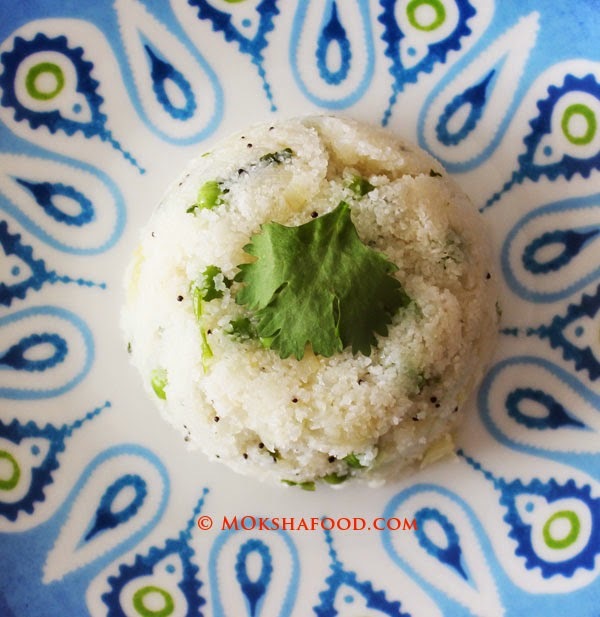 Sprinkle the cardamom pdr and cashew nuts on top. I like to add a lot of nuts as they compliment the texture of the mushy carrots very well. 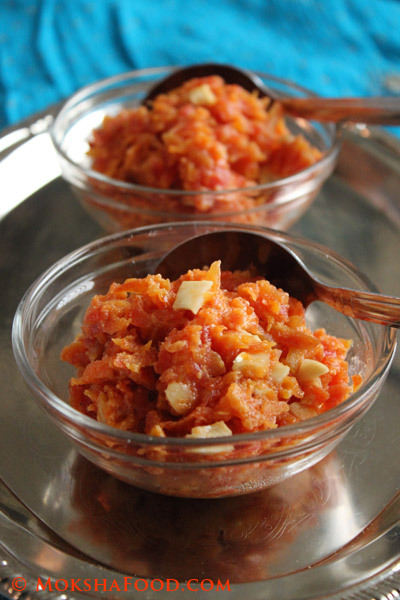 Gajar halwa can be served hot /cold or at room temp as a snack or dessert. We tried at home. Its yummy ! !